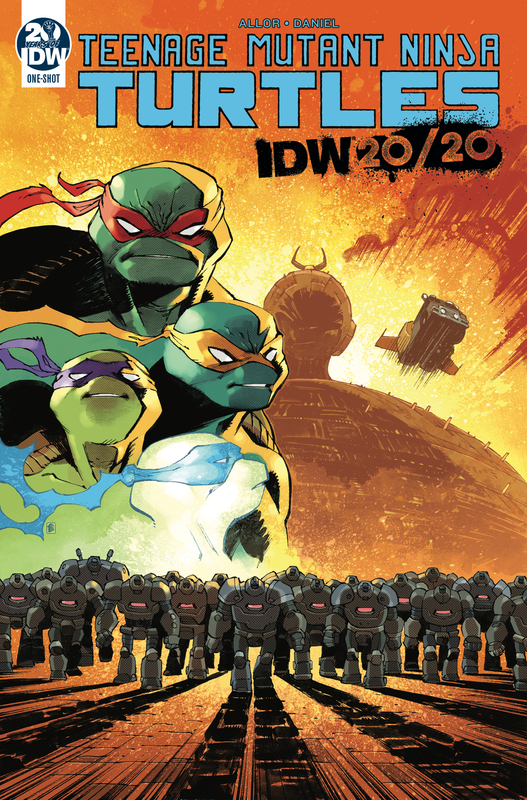 In this totally tubular episode, we travel twenty years into the future and cover IDW TMNT 20/20 over a mega slice of chicken and pineapple pizza (Josh’s Favorite)! Check out our friend Alessandra’s amazing comic commission artwork at: https://www.patreon.com/AlessandraDC. “TMNT Cartoon Theme” Performed by Daniel Tidwell. Check out his Facebook page and brand new album called Daniel Tidwell VS Video Games III at: www.facebook.com/danieltidwellofficial﻿. “9.95” by Spunkadellic and “T.U.R.T.L.E. Power” by Partners in Kryme: https://www.facebook.com/partners.in.kryme?fref=ts﻿. Be sure to check out our friend Anthony’s (Batbomb 82) YouTube channel dedicated to classic and modern action figures at: https://www.youtube.com/channel/UCvLenGOcnBCgKWiJe8kkr_w. Turtle Flakes is also proud partners with Retro Gaming Times, the longest running free online magazine dedicated to classic games and electronics. Be sure to check out all of their issues at: www.classicplastic.net/trt﻿.